Today I'm sharing the second layout I made with this month's creative kit from My Creative Scrapbook, again featuring the wonderful combo of Echo Park Here & Now and Fancy Pants What a Wonderful Day. This page is about an award Alexa received at the end of the past school year. It was given to students who had achieved high honor roll with distinction for three consecutive quarters during the school year. Can I add in a proud mom moment? She received this rank for the fourth quarter as well but the awards ceremony is held before final report cards come out. Here's a look at the embellishment cluster below the photo. I used a marker and circle template to highlight the number 6 since this photo was taken in sixth grade. 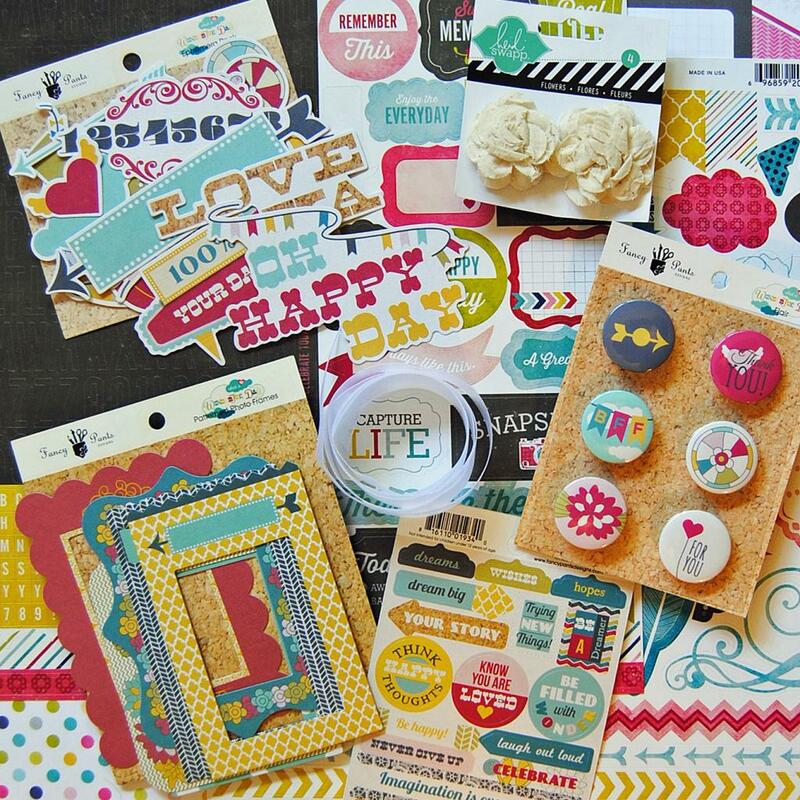 Here's a look at the creative kit (detailed information about the kit contents is available on My Creative Scrapbook's web site). Fun and FABULOUS as usual Lisa, LOVE this! Great LO Lisa! So many fun details. What a fun page!!! And congrats to your daughter! love how you place all the fun embellies. 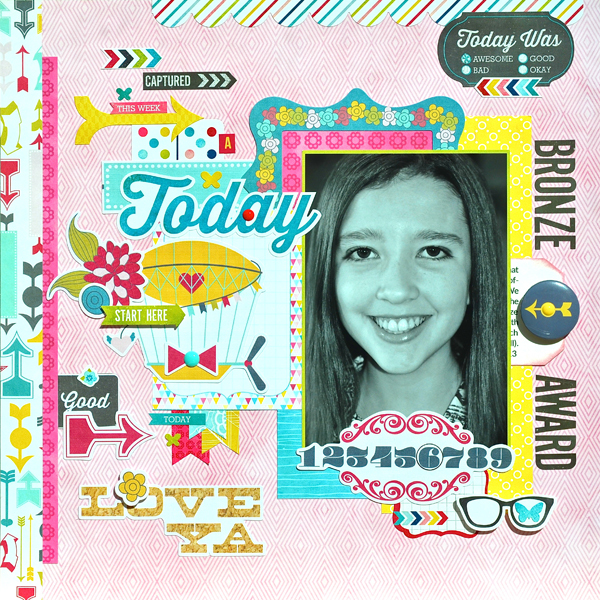 Such a fun and cheery layout, love the journaled tag behind her picture! Congrats to Alexa! You deserve to be a proud mama. Ah congrats for your DD, the layout is bright and cheerful! Yay! Congratulations to Alexa! I love these 2 lines for the bright colors. Fabulous lines to scrap an acheivement! love this! such an amazing layout! Such a beautiful photo and layout Lisa. I love this! Congrats to your daughter! That is so awesome! And I love your layout. You are really rocking that kit! It's gorgeous! Gorgeous page. I love that subtle pink print as the background. Congratulations to your daughter on her awesome academic achievements! Wow...what a great page...Such an acheivement...you must be a proud Momma! Wowwwwwwwwwwww!! What an accomplishment that is for her!! Good for her!! I am LOVING your lo!! LOVING the colors and love love love that blimp!!! A big congrats to your daughter ( and You) The LO is beautiful!!! Loving the papers!! Congrats!!! I love this layout!!!! Love all of the bright pops of color on the light Pink background, Lisa!! So cute!! what a proud moment!! 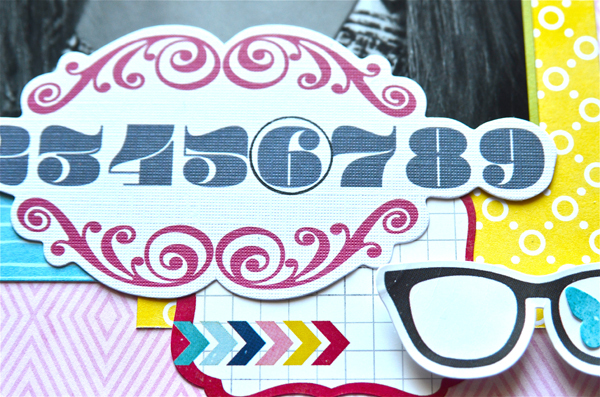 love this layout- so bright and cheery! Another terrific layout. Great accomplishment for Miss Alexa!